When we hear names of mega corporations like Wal-Mart, Toyota, Starbucks, and Amazon with revenues reaching far above billions of dollars, with tens of thousands of employees, we tend to simplify and assume that their existence just came about magically. But the fact is very contrary. Pablo could not be more right. Behind every incredibly successful companies, there were the tireless founders with laser sharp focus on their passion and perseverance to deliver incredible value for their customers, that innovations and disruptions were not something they had to try hard to come up with, but have been a natural and very frequent occurrences. They have been the true advancers of humanity. Below are the books that I had the privilege of reading, mostly written by founders themselves. If you haven’t, I hope you could allow that privilege for yourself. If you haven’t been to one of Wal-Mart Supercenters, it will shock you twice: first with its enormous size, second with their rock bottom prices without any strings attached whatsoever (you don’t need a membership nor need to buy in bulk). 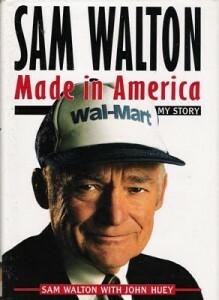 In this book, Sam Walton, the legend, who inspired so many other successful entrepreneurs, takes you through the exciting journey that Wal-Mart embarked. He was the richest man in America then and now if he were still alive: about $130 billion dollars in 2016, followed by Bill Gates with his $85 billion dollars, according to Forbes. Yet, he lived and died in the same house that he and his wife owned for 22 years, drove an old battered 1979 Ford red pickup truck, rented subcompact cars and slept in motels or at the homes of store managers when he was on the road. He was also famous for taking meticulous notes on a yellow legal pad during his random and frequent visits to Wal-Mart stores (up to 6 stores per day), to gather ideas from his own Wal-Mart associates, customers, and even from the competitors’ customers that could help the company, insisting that, “Most of us don’t invent ideas. We take the best ideas from someone else,” shamelessly “stealing” best ideas from his competitors if that can serve Wal-Mart associates and customers better, that is, reducing the cost of living for the ordinary Americans. He was a true servant leader of this century, earning him the Presidential Medal of Freedom conferred by President George H. W. Bush. 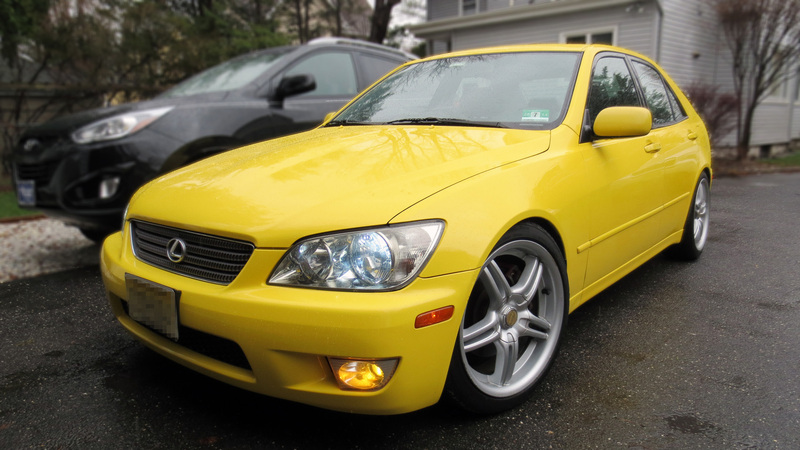 As a proud owner of 2001 Lexus IS300 Solar Yellow, I’ve been always fascinated and fancied by the legendary quality and reliability of Lexus and their passionate pursuit of perfection. Except for the recent unintended sudden acceleration debacle due to faulty floor mat design, Toyota has been growing steadily, taking number one automaker position in 2009 beating GM for the first time in 78 years, and they continue to lead the top spot. Behind this enormous success was their adamant pursuit of perfection in manufacturing process, now famously known as Toyota Production System (TPS), that produced vehicles with zero defects, making Toyota the most reliable car brand throughout automobile history. 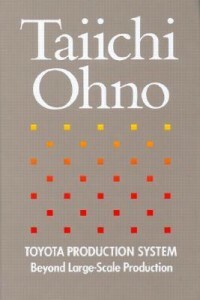 Behind the Toyota Production System was Taiichi Ohno who had been tirelessly implementing and improving the system. In this book, Taiichi Ohno takes you through the heart of TPS, including the unforgettable chapter on Repeating Why Five Times, in trying to find the root cause of the problem. By this time, I assume that you have been to Starbucks and tasted one of their signature frappuccinos or hand-crafted espresso beverages, enjoyed their unique local store atmosphere, and hopefully felt a bit of sparkle from the barista that delivered your expensive latte. Starbucks continues to march strong and able to hold together incredible dominance in the premium beverage business, with more than 22,000 stores in 66+ countries, with over 300,000 employees, all thanks to their relentless product innovation, innovative marketing strategies, and legendary barista training program, benefits (especially the College Achievement Plan), and well defined career path, allowing every barista to deliver high quality product with exceptional service. 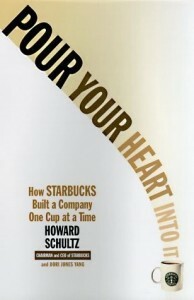 In this book, Howard Schultz takes you through the exciting Starbucks’s journey and shares many many business insights that he learned and implemented that every entrepreneurs should take to their heart: from how hard one needs to work, like, how he did not take any long vacation until after 10 years, how every growth stage required new skillsets and one should not be afraid to seek one, and how he knew that Starbucks could not flourish and win customers’ hearts without the passionate devotion of their employees. 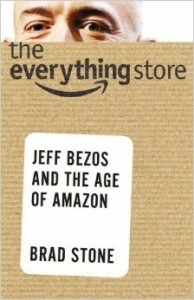 When Amazon.com came to existence in 1994, and disrupted then the book retail giant, Barnes & Nobles, by offering incredible book selections with super quick shipping, we were mesmerized. That effort to deliver more value for its customers never slowed down. They continue to introduce ever more countless improvements to its already impeccable price and service, which naturally led to its key innovative product, Prime Membership, which includes free 2 day shipping for all Prime Membership qualifying products. It continues to enhance Prime Membership by adding even more enticing benefits, including ability to sign up for Amazon.com Prime Rewards Visa Signature Card giving 5% reward points back for all Amazon.com purchases, as well as, adding video streaming services, and now starting their own delivery service to make same day, Sunday, and even holiday delivery services possible. In this book, Brad Stone takes us through that very journey that Amazon.com embarked on, how Jeff Bezos stays incredible frugal in operating Amazon.com to return every saving back to customers, how many relentless fights they took on themselves with vendors and publishers on behalf of customers to drive down prices and pass those very benefits right down to customers. Customers have recognized their relentless effort and rewarded Amazon.com with their business. In 2016, despite countless investor’s early criticisms and how Amazon.Com never made profit, Amazon.com has now surpassed Wal-Mart and Berkshire in market share, an incredible feat for an online e-commerce store. These days, we can’t talk about entrepreneurship without mentioning Elon Musk. In fact, I’ve written an in depth article from lessons that I learned from reading this book. I highly recommend you to check out Elonism: Six Essential Traits of Elon Musk Everyone Must Replicate and Get Humanity to Mars. He is the kind of entrepreneur, who not only delivers the innovative products that are awe inspiring, but also knows how to sell it by showing the vision of the future, all in the effort to further the advancement of humanity. If that wasn’t enough, he does this, not just one, but in two sectors: Tesla to deliver sustainable energy and transport system, and SpaceX to deliver extremely cost effective space transport system that will lead us closer to making Earthlings being interplanetary species that can colonize on another planet so that when catastrophic event occurs, humanity still has an option of survival. 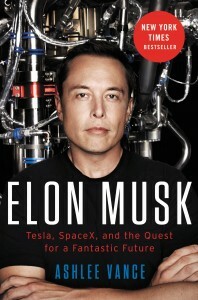 Take the journey with Ashlee Vance and take a glimpse of the mind of Elon Musk and get ready to be inspired and awed. 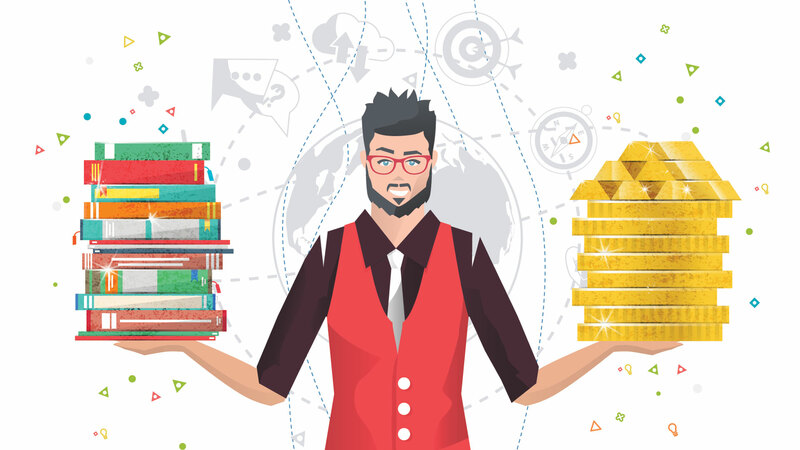 If you haven’t already done so, I sincerely hope that you do allow yourself the privilege of reading these incredibly awe-inspiring books and absorb all of the essential lessons that these incredible entrepreneurs share. Their incredible passion, dedication, and perseverance have played crucial role in advancing our humanity as a whole, making this world all the more better place for all to live and enjoy. They are true heroes of our time. It is now our turn to start our inner entrepreneur engines in us!